Continuity and consensus have been the strengths of Finnish foreign policy. From the perspective of Finland’s current international position, membership of the European Union (1995) has been the country’s key decision so far. Finland promotes the development of the European Union as a financial, political and security organisation, and advocates an EU that speaks with one voice on all key global political issues. Finland is a proponent of an international system based on multilateralism, particularly the development of the United Nations’ capacity. Finland became a member of the UN in 1955 and has been an active contributor since then: participating in peacekeeping, in the development of public international law, in multilateral disarmament negotiations and in multilateral development cooperation, among other issues. Finland has twice been a member of the Security Council of the United Nations (1969–1970 and 1989–1990). 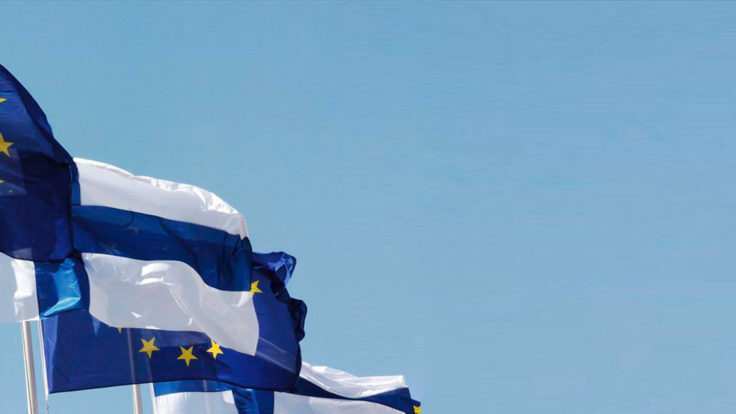 Other important forums for Finland have been and are the Organization for Economic Co-operation and Development (OECD), the Council of Europe and the Organization for Security and Co-operation in Europe (OSCE). Within this framework, Finland operates in order to sustain and strengthen international principles and standards as well as rule-based action. Development policy is an integral part of Finland’s foreign and security policy. The goal of Finland’s development policy is to reduce poverty and inequality and promote sustainable development. The implementation of human rights is a key objective. Finnish development policy strives to strengthen the rights of the most vulnerable, promote gender equality and improve climate change preparedness and mitigation. Finland’s development policy priorities are the rights of women and girls, reinforcing developing countries’ economies to generate more jobs, livelihoods and well-being, democratic and well-functioning societies, including taxation capacity, and food security, access to water and energy, and the sustainable use of natural resources. Because Finland’s relatively small domestic market offers limited possibilities for economic success, Finland has long been in favour of and embraced free trade. Membership of EFTA (the European Free Trade Association) was a key step, which was succeeded by a free trade agreement with the EEC (European Economic Community) in 1973. 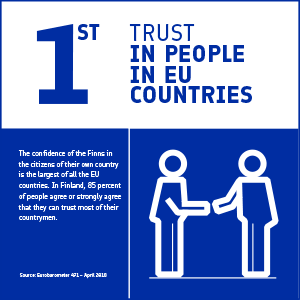 Finland’s trade policy interests are attended to as part of the EU’s Common Commercial Policy. The Commission plays a high-profile role in speaking on behalf of the EU in arenas such as the World Trade Organization (WTO). The Commission must consult the Member States regularly, allowing Finland and other Member States to proactively influence the content of trade policy. Finally and most importantly, Finland has engaged in Nordic cooperationalmost since its independence, including for more than 60 years within the framework of the Nordic Council, which was established in 1952. Such cooperation has developed, gone through structural changes and intensified over the years. Before becoming an autonomous part of Russia in 1808–1917, Finland was an integral part of Sweden for over 600 years – Nordic cooperation is therefore a natural and self-evident component of Finland’s approach. Arctic cooperation at the governmental level started at the first ever ministerial meeting held in Rovaniemi in 1991. Arctic cooperation has since then been an important part of Finland’s foreign policy. The Arctic Council was established in 1996 and is committed to the well-being of Arctic inhabitants, environmental protection and sustainable development of the Arctic. The Paris climate agreement as well as the UN Sustainable Development Goals are important frameworks for Arctic cooperation during the Finnish Chairmanship of the Arctic Council in 2017-2019. Finland is also an active promoter of cooperation in the Baltic Sea region. The Council of the Baltic Sea States was established in 1992. Finland’s internationally recognised welfare system is based on conscious decisions intended to promote knowledge, equality and innovation. Finland actively promotes these same values in international forums. It is a strong advocate of democracy, good governance, human rights, equality and stability and security. Finland sees the Agenda 2030 as an important tool to promote sustainable development in a systematic manner. Finland implements the Agenda 2030 at the national level as well as the international level through the UN, International Financial Institutions, climate financing and development policy and cooperation, among others. When contributing at international level, Finland draws great strength from its internal cohesion. It has exceptionally well-oiled machinery for discussion and decision-making related to important international issues. Finland has a long tradition of active participation in international crisis management and conflict resolution. 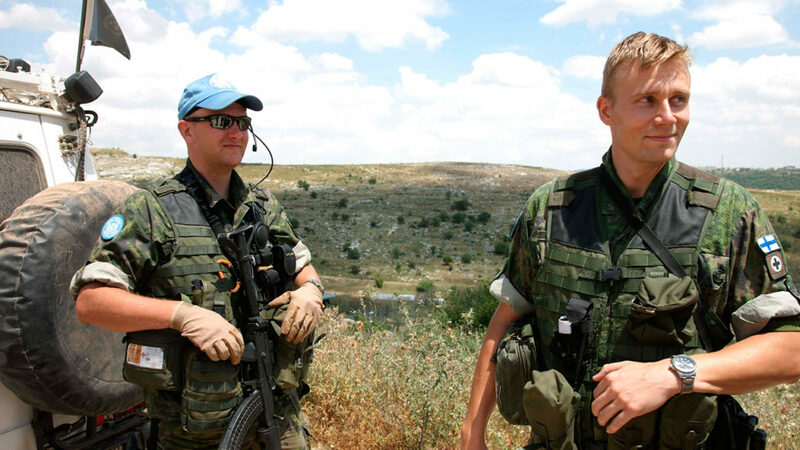 More than 40,000 Finns have served in UN peacekeeping operations in over 30 countries. In addition, Finland has been contributing to several EU and NATO lead operations. The foundations of the OSCE (Organization for Security and Co-operation in Europe) were laid in a series of meetings in Helsinki, resulting in the Helsinki Final Act in 1975. Finland has often served as a meeting place during efforts to resolve global or regional conflicts. Mediation and dialogue processes are an increasingly important focus area for Finland in international conflict prevention and resolution. EXAMPLE OF FINLAND’S CONTRIBUTIONS TO MAKING THE WORLD A BETTER PLACE. The Nobel Peace Prize for 2008 was awarded to Martti Ahtisaari, former President of Finland, for his major efforts, on several continents and over more than three decades, to resolve international conflicts. 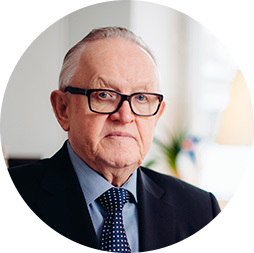 President Martti Ahtisaari’s non-governmental organisation, Crisis Management Initiative, makes major contributions at international level.